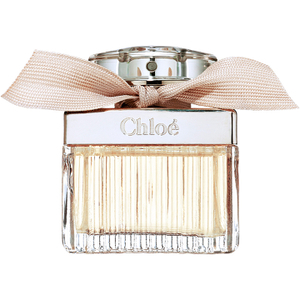 Chloé's Signature Gift Set is a must-have gift that combines an elegant EDP with the matching body lotion. Skin will BE cocooned in softness and delectable fragrance. Housed in a luxurious gift box. Playful and seductive, the fragrance blooms with confidence and sophistication. Combining Freesia and Peony with Lily of the Valley, Magnolia and bouquets of voluptuous Rose in the heart, laid on a woody base of Ambergris and Cedar. Housed in an elegant bottle, the perfume is the perfect for every day wear. An enveloping body lotion that nourishes and moisturises skin whilst delivering the delicate Signature fragrance. Eau de Parfum: Apply onto pulse points.